The dBDRA is pleased to announce Deaf Bonce as the exclusive trophy sponsor for the upcoming 2018 FINALS in North America. The dBDRA FINALS will take place October 13-14, 2018 at the Car Audio Championship in Louisville, Kentucky along with satellite locations in Northern California and Western Canada. “A huge thanks to Deaf Bonce for sponsoring the dBDRA trophies for the fourth year in a row. We are grateful to have the support from the crew over at Deaf Bonce. They have been very supportive of the competition scene on a global level with many competitors using their products worldwide.” said Celise Harris, Marketing Director for the dB Drag Racing Association. Deaf Bonce is a car audio manufacturer based in Russia. The company’s main efforts are adapting to the needs of the ever-changing car audio markets with innovative design solutions and a unique product line up. Deaf Bonce prides itself with having the best features in every price segment to reach the consumers’ needs. Deaf Bonce offers a wide range of car audio products ranging from affordable speakers and amplifiers to top-level products used by winning champions. Deaf Bonce is a huge supporter of the competitors with over 100 team cars currently competing in several countries. Deaf Bonce has worldwide distribution and has been ramping up their presence in the United States. Deaf Bonce has been a great supporter of the Car Audio Championship and its competitors. 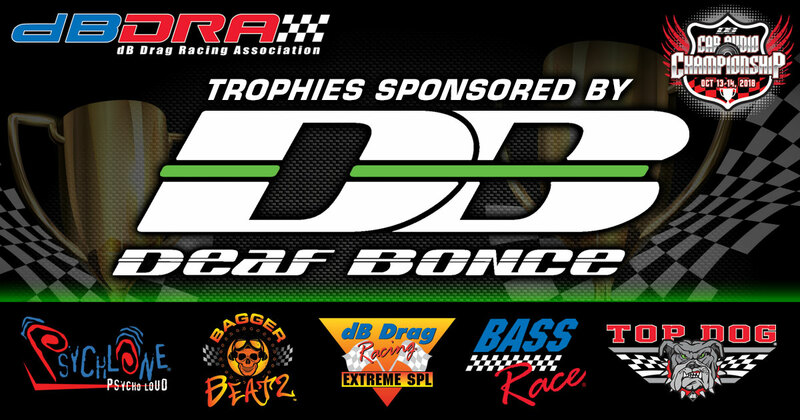 On behalf of the dB Drag Racing Association and our members, we would like to sincerely thank Deaf Bonce for their continued support.